All-natural, handcrafted, artisan soap by RI Natural Soap Co. 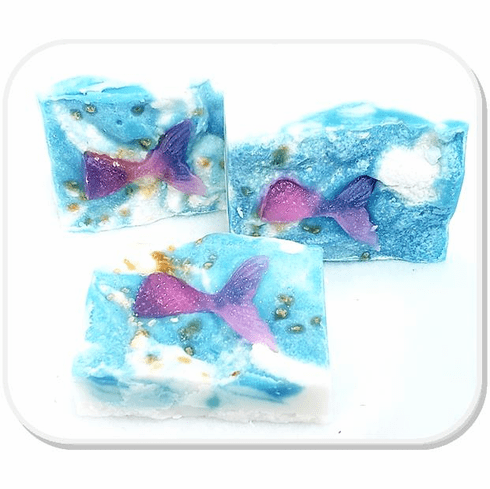 This 4oz bar depicts a mermaid tail splashing through the sea! Made of organic coconut, tallow, and olive oil, fragrance, mica, and bio-glitter, there are no phthalates, no parabens, no chemicals, and no animal testing. Once you use one of these products, you'll never use another brand again. Your skin will thank you!